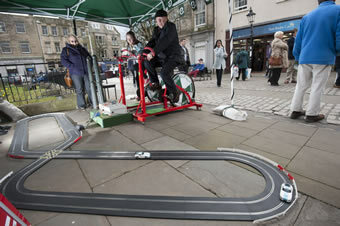 The PeachyKeen bicycle powered scalextric challenge is one of our most popular activities! Especially for team building events, where two participants go head to head. Simply hop on the PeachyKeen Pedal Pod to provide the power to two Scalextric cars as they race round the track. We even have a “Top Gear” style leaderboard for the fastest lap! 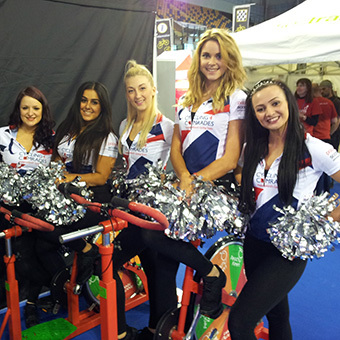 The human powered scalextric is also a great way to engage with clients and prospects at trade shows and events, with the opportunity to gather data and offer small prizes, with a Grand Prize on a daily basis.